Kingfisher Airlines' Vijay Mallya criticised the govt for discriminating against PSUs, and reiterated he would pay back 100% of his debt. “Even though Jet was a major competitor to Kingfisher at the time I feel sorry to see such a large private airline on the brink of failure when government used 35K crores (Rs 35,000 crores) of public funds to bail out Air India. Just being a PSU is no excuse for discrimination”, Mallya wrote in his latest intervention on Twitter. He added in his tweet that he invested hugely into Kingfisher which rapidly grew to become India’s largest and most awarded airline. It’s true, Kingfisher borrowed from PSU Banks as well. But he has offered to pay back 100 per cent but am being criminally charged instead. Airline Karma? “Even though we were fierce competitors, my sympathies go out to Naresh and Neeta Goyal who built Jet Airways that India should be extremely proud of. Fine Airline providing vital connectivity and class service. Sad that so many Airlines have bitten the dust in India. Why, Mallya questioned. A first level of that written appeal has already been rejected by the High Court, where it will now be considered during a brief hearing to determine any grounds to grant permission for Mallya’s appeal to proceed to appeal substantive hearing. 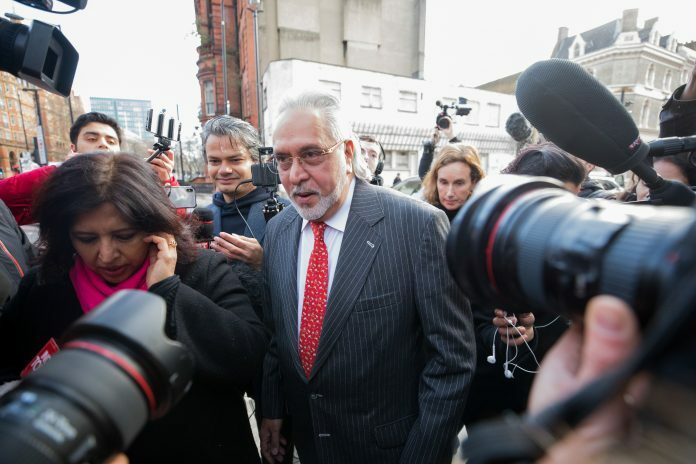 The businessman faces a series of unrelated legal battles in the UK courts, including a USD 40-million claim brought by drinks giant Diageo and an attempt by Swiss bank UBS to repossess his posh London home overlooking Regent’s Park.